Prokhorov’s Nets will host Jordan’s Bobcats in Newark this evening. It should be a competitive contest. Both the Bobcats and Nets are trying to establish winning habits early and carry them through the remainder of the season in order to have a shot at the playoffs. This is a big game for the Nets as Coach Avery Johnson needs to convince his team that they are good enough to challenge for a playoff spot. The Nets stand at 2 and 1 after three games – a drastic improvement over last year’s 18 straight L’s to begin the season. The Charlotte Bobcats on the other hand are 0 and 3, so Coach Larry Brown will be anxious to get a win under his belt. Last season the 2004 expansion team kept the Bulls and Raptors at bay to clinch the seventh spot in the East and their first playoff berth. Now that they’ve tasted the postseason, the Bobcats will be hungry to return for seconds and hopefully better their playoff record with some wins. The Bobcats were only 13-28 away from home last year, and that included a loss at New Jersey on December 4th, 2009, to break the Nets’ 18-game-season-opening losing streak. 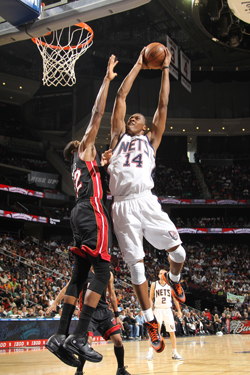 However, the Bobcats later defeated the Nets on a return trip to the Garden State on their way to the postseason. This is New Jersey’s fourth consecutive home game to begin the season, a true scheduling rarity and something the Nets must capitalize on because after tonight they begin a brutal stretch wherein they’ll play 7 of their next 9 games on the road. Last season they were a pitiable 4-37 road team. Center Brook Lopez leads the Nets in scoring this season at close to 25 points per game. PG Devin Harris, now in his seventh year, has averaged almost 19 points and 8 assists over the first three contests. And third overall draft pick Derrick Favors continues to show signs of improvement as he gains NBA experience, averaging 10.0 rebounds and 10.3 points per game so far in his rookie career. 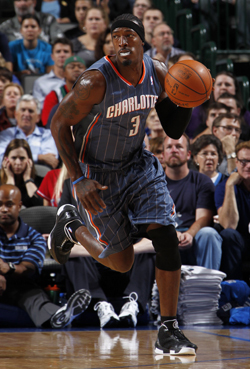 Coach Brown leads the Bobcats and is counting on top scorer F Gerald Wallace (league leader in minutes played) and 11th year veteran G Stephen Jackson (a 1997 second-round draft pick) to help the team gel early this campaign after the departure of long-time starting point guard Raymond Felton to the Knicks in the off-season. It remains to be seen whether the Bobcats will have as much of an impact without Felton and Tyson Chandler, who were both key pieces to last year’s success. Third-year PG D.J. Augustin, out of the University of Texas, has replaced Felton in the lead guard role. In last game’s loss at Milwaukee he had 26 points and shot 5 of 6 from 3-point land. Ian and I will cover the action tonight at 7:00 PM EST on YES.